Zaher Fallahi Attorney At Law and Certified Public Accountant (CPA), experienced in advising cryptocurrency owners with taxation of cryptocurrency, FBAR, IRS representation, offshore accounts and foreign gifts. We are licensed in Washington D.C. and California and represent taxpayers nationwide before the IRS and tax court. For an Attorney-Client Privileged consultation, please call toll free 1-877-687-7558, (310) 719-1040 and (714) 546-4272. On March, 25, 2014, The Internal Revenue Service (“IRS”) issued the Notice 2014-21 providing answers to frequently asked questions (“FAQs”) on virtual currency, such as bitcoin. These FAQs provide basic information with respect to the US tax implication of transactions involving cryptocurrencies. Increasingly virtual currencies are used as real currencies like the US (or foreign) coin and paper money as legal tender. Individuals and businesses use them in purchasing and selling goods, services, investments and other cryptocurrencies. Although, there have been some statements or guidance offered by certain government agencies such as Financial Crimes Enforcement Network (“FinCEN”) and others for other purposes such application of FBAR and other matters, to date, Notice 2014-21 is still the sole official tax authority issued by the IRS. The notice provides that for the IRS purposes, virtual currencies are treated as property, and the general tax principles applicable to property also apply to virtual currency transactions. Virtual currencies such as Bitcoin that have equivalent values and used as currency substitute, are referred to as “convertible” virtual currencies. The FinCEN has a comprehensive guidance regarding convertible virtual currencies. 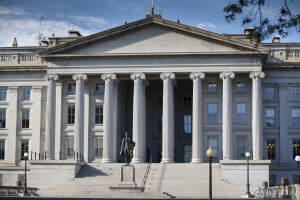 The Treasury Department and the IRS have solicited comments from the public regarding other types or aspects of virtual currency transactions for future guidance. The American Bar Association (“ABA”) Taxation Section (ABA), and the American Institute of Certified Public Accountants (“AICPA”) Taxation Section (AICPA), have submitted their proposals on crypto taxation, and have requested additional authoritative guidance on particular relevant issues. I am proud to be a member of the ABA and AICPA Taxation Sections, and greatly appreciate the tremendous efforts they have put into our profession regarding this matter. For the federal tax purposes, cryptocurrencies or virtual currencies are treated as “property’. Therefore, transactions involving cryptocurrencies are governed by the same tax principles applied to “property” contained in the IRS Publication 544, Sales and Other Dispositions of Assets. You may realize gain or loss when crypto is sold or exchanged. You will realize a gain if the amount of consideration you receive from the sale or exchange of crypto exceeds your adjusted basis in the particular crypto. Or, you will realize a loss if the adjusted basis or cost of your crypto is greater the amount you receive from the sale or exchange of your crypto. Under the IRS, a sale is a transfer of property for money or a mortgage, note receivable, or other promise to pay money. An exchange is a transfer of property for other property or services. If give your Ethereum and receive US dollars in consideration, that is a “sale”. However, if you give your Ethereum and receive Bitcoin in consideration, that is an “exchange”. Both receipts in these examples are “taxable” income. On June 25, 2017, you sold your crypto for $400, and had purchased it on January 2, 2016, for $100. Here you will have $300 long-term capital gains because you had kept the crypto as capital asset (stocks, bonds, and other investment property are generally capital assets) for longer than one year. If the facts were the same Example 1 above, except that you had acquired the crypto on September 15, 2016 for $500, then you will have $100 short-term capital loss. If the facts were the same as Example 2 above, except that you exchanged your Bitcoin that had purchased on January 2, 2016, for $100, for Ethereum with fair market value of $400. Here you will have $300 long-term capital gains. Under the current tax law, cryptocurrencies are not considered “currencies”, and as a result, the IRC Section 899 doesn’t apply. In contrast, under § 988(a) (1) (A) generally a taxpayer’s foreign currency gain or loss is computed separately and treated as ordinary income or loss rather than capital gains or losses. People who receive cryptocurrency as payment for the sale of their goods and services, must include its US dollars fair market value at the time of its receipt in determination of their revenue. For income tax purposes, the basis of cryptocurrency that a taxpayer receives as payment for goods or services is the US dollars fair market value of the cryptocurrency as of the date of its receipt. For determination of US income tax, transactions involving cryptocurrency must be reported in US dollars. As such, taxpayers must convert the cryptocurrency fair market value into US dollars as of the date of payment or receipt. For the cryptocurrency listed on an exchange like Coinbase, the exchange rate is established by market supply and demand, the fair market value of the cryptocurrency is determined by converting the cryptocurrency into US dollars at the exchange rate in a reasonable manner and applied consistently. The act of a taxpayer uses high-tech computers and validates cryptocurrency transactions and maintaining the public transaction ledger is called mining. Under current law, the fair market value of the cryptocurrency as of the date of receipt should be included in the taxpayer’s gross income. The AICPA has proposed the revenue recognition be postponed until the product is sold or otherwise exchanged. This proposal has not been adopted, yet. Taxpayers mining cryptocurrency as a trade or business not as an employee of another business, would have to pay both income taxes and self-employment taxes (social security and medicare) on their net income. This means the gross fair market value of the cryptocurrency less all costs attributable to carrying on their trades or business. Crypto miners are treated self-employed as taxpayers engaging in other type of industry. These trade or business expenses include, but are not limited to, cost of goods sold, rents, auto and truck, insurance, interest, salaries paid to employees and independent contractors, pension plans, travel expenses, home office and deprecation of business equipment such mining computers and others. Taxpayers working as independent contractors for other taxpayers who are mining cryptocurrencies, are also treated as self-employed taxpayers, and their net income from carrying on their trade or business are subject to both income tax and self-employment taxes whether they receive their compensation in fiat money like US dollars or Bitcoin, Ethereum, Bitcoin cash, Cardano (ADA), Litecoin, Dogecoin, BAT, NEO, Ripple XRP, Stellar (XLM), just to name some. Similar to “independent contractors”, compensation of employees for services in any cryptocurrency form is subject to federal income tax withholding, Social Security tax, Medicare tax, Federal Unemployment Tax Act (FUTA), and state withholdings, and should be reported on Form W-2, Wage and Tax Statement. are determined to be $600 or more in a taxable year, the payors are required to report them to the IRS Form 1099-MISC, Miscellaneous Income. It should be noted that the recipients of the value of $600 or more may have income even if they do not receive a Form 1099-MISC. In other words, recipients cannot exclude from their income the value of the benefits just because they didn’t receive a Form 1099-MISC. (b) payors receive notification from the IRS that backup withholding is required. Transactions where the TPSO settles payments made with cryptocurrencies are aggregated with the payments made with US dollars, and other property to determine the total amounts to be reported in those boxes. The value of the cryptocurrencies is the fair market value of them in US dollars on the date of payment. Is cryptocurrency subject to FBAR filing? Notwithstanding that the IRS Notice 2014-21 doesn’t recognize cryptocurrency as “currency”, some tax attorneys including this author believe cryptocurrencies are subject to FBAR filing, because they function as fiat money and appear like “financial assets”. Further, we advise to file FBAR when in doubt. In response to my inquiry to the BSA Compliance Department, they have indicated that digital currency like Bitcoin would only be FBAR reportable if it is held in an account with a “financial institution” or someone acting as a “financial institution”. If digital currency is held in a “digital wallet”, not in a financial institution, it is not reportable on FBAR, because the digital wallet is not a foreign financial account.